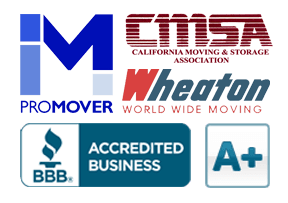 San Francisco Online Services | Cummings Moving Co.
Want a list of San Francisco online services at your fingertips? What kinds of online services? Things like reporting a pothole, how to pay online for everything from dog licences to parking tickets, links to city, sate and federal services, and more. Fortunately, San Francisco is a tech-savvy city and they have gone out of their way to make sure San Francisco online services are easy to access and navigate. One word of advice – while our website is mobile-friendly, many of the sites linked here are not. For best results, you may want to access these online services via a larger tablet, laptop or desktop computer. We are busy building this handy list of San Francisco online services. This information that will help you navigate life in this great city by the Bay. Please continue to check back as we grow the list of San Francisco online services and resources. In the meantime, please visit this wonderful resource page put together by the City of San Francisco Online Services. Or check out the City of San Francisco 311 Twitter feed. Have a Request for Service in San Francisco? San Francisco residents have all sorts needs; from animals and pets, to business, streets, parks, transit tools, utilities and more. The City of San Francisco has some wonderful online services resource pages compiled on their website. We are all so busy these days. Fortunately, technology makes it easy for us to get things done on the go! These are just a few of the MANY San Francisco online services available to local residents. Human Services Agency of San Francisco – Receive help when you need it. San Francisco Marriage Licenses – Make an online reservation for a marriage license. New Business Name – Create a Fictitious Business Name/FBN. San Francisco Property Tax – Make a property tax payment online. San Francisco Online Services FAQS – Get answers to SF city services FAQs organized by topic. Have a San Francisco Online Services Idea for Us? What else do YOU want to see on this page? Drop us an email and let us know. Please put Suggestion for San Francisco Online Services in the subject line. Thank you for your ideas!